A decomposer plays a vital role towards the foundation of the soil structure. If you want to grow the best quality vegetables, you’ve got to supply the soil with lots of nutrients. That’s one of the secrets to healthy, tasty, home-grown vegetables. You see good soil is a very important factor. There are a lot of materials that are used for decomposition. However, it’s impossible for them to all decompose at the same time. In the end, all of them will eventually breakdown. Manure or small pieces can be used to make the process flow faster if you’re definitely not looking for any delays. Making compost is easy and fun to do especially when you’re ready to start planting vegetables. Using straw bales for decomposing is an excellent and wise choice. You’ll definitely experience the rewards from doing that. The best time to do this is during the winter season. The bales usually decompose during that season and supply the soil with the extra boost that it needs. All you have to do is to add a little water to them between rainfall periods to get the process going. This makes up the best soil for your garden. You see it’s responsible for the decrease of the reflectance levels within the soil as well as the supply of color. Soils with a lot of organic matter are darker in color and will absorb a lot of energy, thereby creating some warm soil. The best ingredient for healthy soil is organic materials, because they supply a lot of nutrients to the plant roots. 1.Nitrogen- for the leaves to form. 2.Magnesium- to enhance the development of the plant. 3.Calcium and phosphorous- to stimulate the growth of the roots and for the plant to bear lots of fruits. 4.Potassium- to fight disease and assist with the formation of roots. 5.Micronutrients- such as iron, boron and zinc. Soil is enriched by the addition of organic matter. Decomposers such as earthworms and soil micro-organisms are responsible for the breaking down of organic material. When micro-organisms gradually breakdown the organic stuff, the nutrients are released during a monthly or yearly period. So what we have as a result is the formation of humus, a solid form of decomposed matter. Humus is really good for your soil. Not only does it transport the nutrients, it also improves the soil’s ability to retain air and water. This is surely one of the best things to supply to your crops. Organic matter that is added to the top of the soil as mulch is the best food source for the soil and your vegetables. The good news is that the structure of the soil is at its best quality in order to cater for easy penetration of roots. Decomposers can help create a successful garden with some healthy, yummy vegetables. 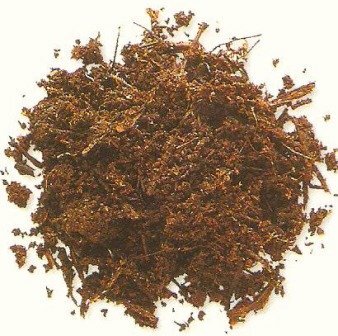 They're also useful and can help create the most suitable soil for your vegetable plants. When you’re involved in vegetable gardening, the decomposition process can be the interesting and fun aspect of it. I also can’t forget how important it is when it comes to composting.